Frederick Ashton was an outsider in the world of ballet. He grew up in South America and only began dancing when he was 20 years old, against the wishes of his family. Yet somehow Ashton went on to become one of the founding choreographers of the Royal Ballet, his work embodying the 'English Style' of ballet. 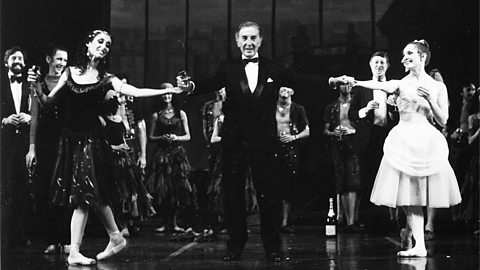 On the eve of a season of Sir Frederick Ashton's finest works at the Royal Ballet, friends and fellow professionals pay tribute and share insights into the man and his work. Francesca Hayward, a rising star in the ballet world, gives an exclusive performance of the signature 'Fred Step' - revealed in glorious slow motion.